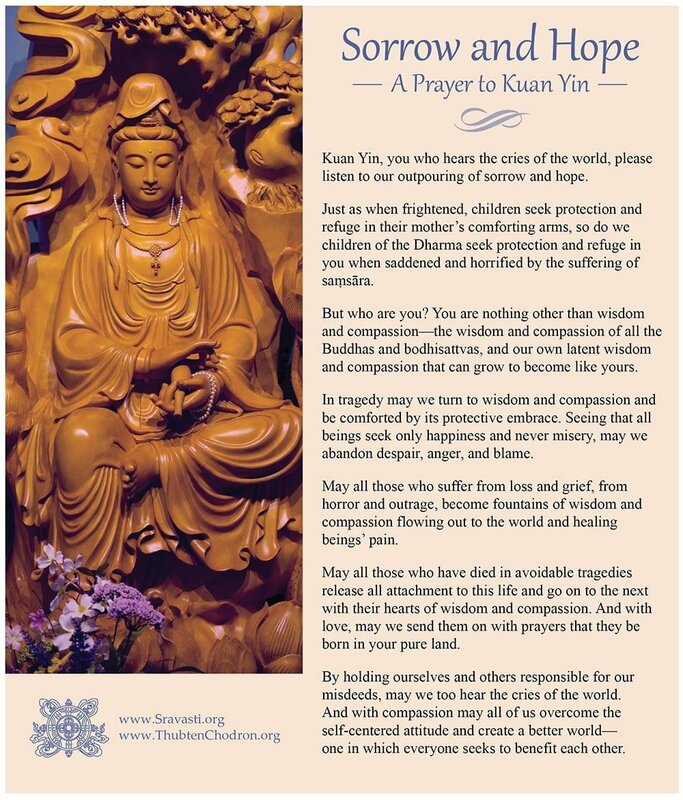 Here is a prayer to Kuan Yin, a female manifestation of the Buddha of Compassion. In light of recent events in Russia and the suffering in the world, Venerable Lobsang Tenpa of Friends of Sravasti Abbey Russia made a heartfelt request to Venerable Chodron. 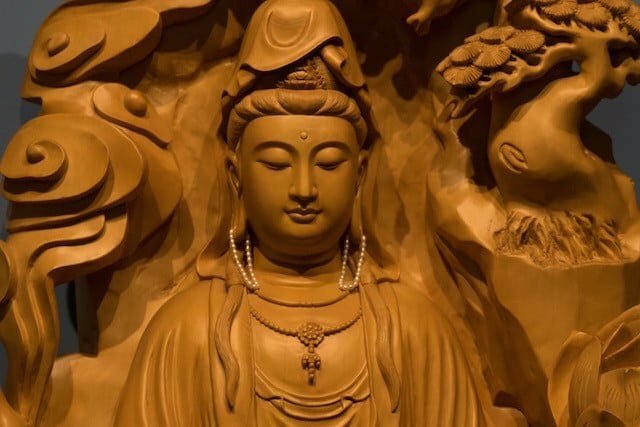 He wrote, Please “write a prayer to Mother Kuan Yin for her compassionate protection for both living and deceased. Through seeing the Compassionate Mother in all beings, may we all attain full awakening.” This is Venerable Chodron’s response. The photo is by Gen Heywood Photography with graphic design by Traci Thrasher.